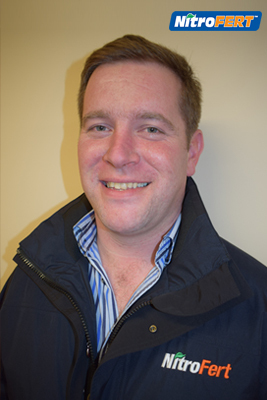 The latest member to join the NitroFert team in Orders and Logistics is Wexford native John Byrne. From a tillage and pedigree suckler farm, John has extensive experience in agriculture both at home and abroad. Following school, John left home and went to work on Cubbie Station which is one the largest farms in Queensland, Australia. In 2008, he returned to the northern hemisphere where he completed the Green Cert and Advanced Cert. He then went on to study in Harper Adams and graduated with a Bachelor of Science in Agriculture in 2011. Following his graduation, John worked for International Energy Crops ltd in the UK before returning home to Wexford to work for Cooney Furlong ltd, sister company of Target Fertilisers in the orders and logistics division. John said of his recent appointment with NitroFert that he was delighted to be part of such an innovative, efficient, fair and accountable company that is leading the way in fertiliser and that this was an opportunity not to be missed.